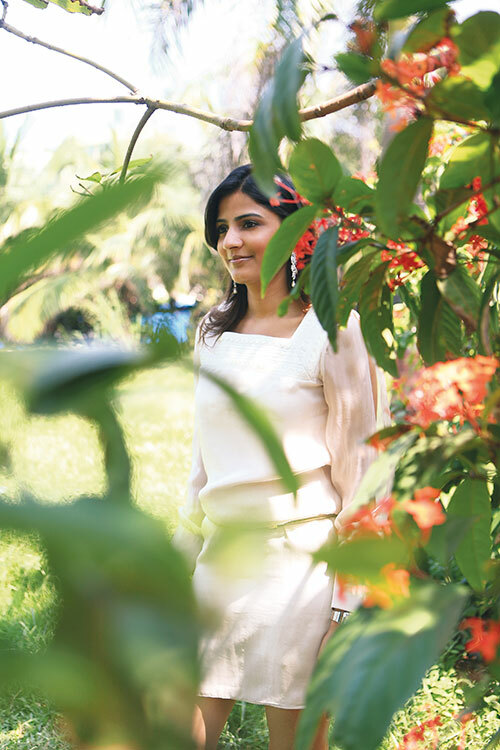 Natasha Shah, Mumbai-born and bred, has always been alive to the natural side of things when it comes to beauty. “I come from a Marwari family,” she says. “Areetha and shikakai for hair, ubtans– they’ve always been part of my subconscious idea of a good beauty regime. But once you grow up, urban life can make you lose touch with nature.” It took marriage into a family deeply connected to Ayurveda and the research and experimentation of seven years to finally unveil the designer beauty products of The Nature’s Co. From a flagship store in Delhi two years ago to her return to home turf with the recent opening of a new store in Mumbai, Natasha’s return to roots feels complete. “Everyone’s talking about wellness these days,” she points out. “And as someone who is involved in every aspect of my company, from manufacture to retail, I can tell you that people understand the importance of natural beauty and care, and connect to it on a very deep level.” It’s hard not to feel the visceral attraction of a coffee face scrub, isn’t it? Tags: Featured, Natasha Shah, People, The Nature's Co.